Book your tickets for the October music extravaganza today! Tickets for the London Music Show, taking place between 8 and 10 October, are now on sale and there's plenty of reasons for drummers to snap up tickets for the event at London's ExCel Centre. Rhythm will be taking over the show floor to present Rhythm Live - an interactive zone offering kits to try and lessons for drummers of all abilities from an array expert tutors. TheRhythm seminar room will be bringing the best of British to the show, with Ian Matthews (Kasabian), Dave Mackintosh (Dragonforce), Karl Brazil (Feeder/Robbie Williams) and session supremos Ash Soan, Clem Cattini and Ian Thomas (alongside bassist Laurence Cottle) among those already confirmed. Drum Guru Martin Ranscombe will also be on hand to tell you all there is to know about the art of tuning. 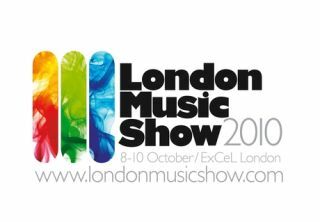 We are also pleased to announce that Steve White and Craig Blundell will be performing a special set on the London Music Show Live Stage. It doesn't end there - the show will also be hosting the Rhythm Drummer of the Year competition final on Sunday 10 October, which you can read all about here. There's also a shedload more top names to be announced over the coming months for live performances and masterclasses. The London Music Show also includes a Guitar Zone, Sound and Recording Technology Zone and Unplugged Zone, so why not bring the whole band?